I’ve never been one for New Year’s resolutions. In fact, I made one resolution about 25 years ago that I’ve never broken: that I’d never make another New Year’s resolution. There’s just something about starting the new year by setting yourself up to fail that doesn’t sit well with me. That said, as I sit here on January 2nd with a loaf of Stollen in the oven, it seems like a good time to catch up on my Bread Baker’s Apprentice Challenge posts and start the new year up-to-date in at least one area. As far as the Challenge itself goes, I think I’m ahead of most other bakers. At least I don’t recall seeing any posts on Stollen yet. But as for blogging about my progress? Well, let’s just say it has been a while. So, to catch up, I decided to hit 12 breads in one post, which will almost catch me up to where I am baking-wise. I’ll hit the highlights here of pane siciliano through pumpernickel, then I’ll start posting as I go again with sunflower seed rye. So, here goes nothing. My favorite thing about this bread was the cool “S” shape. 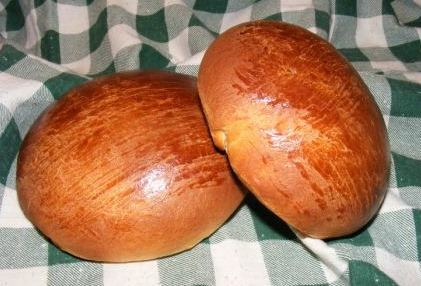 The other distinguishing factor about pane siciliano is the fact that it uses about 40% semolina flour. I actually wasn’t crazy about the semolina. I found it hard to work with and I didn’t care for the gritty feel of the dough. Nonetheless, the shaped loaves looked nice and rose beautifully. I was pleased with the finished loaves, both from the standpoint of appearance and flavor. The crumb was flavorful (and not at all gritty). However, I doubt if I will make this bread again anytime soon. It wasn’t bad; just not one of my favorites so far. 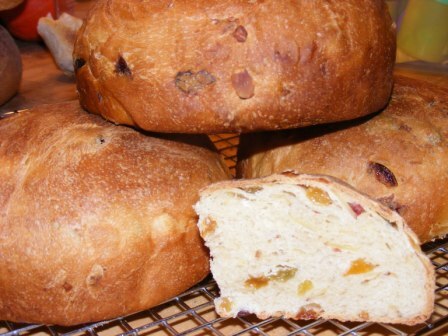 As I sit here waiting for my Stollen to bake, I am harkening back to Panettone, another fruit-studded celebration bread. I had never eaten, let alone baked, Panettone, so I wasn’t sure what to expect. The dough was beautiful and surprisingly supple, even with all the fruit and flavorings it contained. One issue I had with this bread had to do with the size. 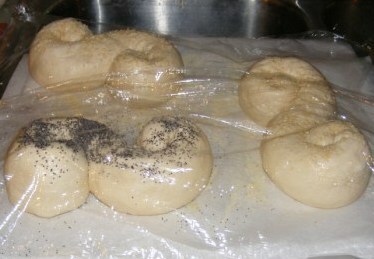 I ended up with approximately 4 pounds of dough, as the recipe indicated. The issue was with the Panettone moulds I bought from King Arthur Flour. The instructions that came with the moulds said each would hold up to 1 pound of dough, so I divided the dough between 4 moulds. 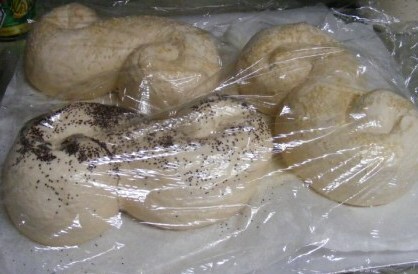 Unfortunately, the moulds seemed to be larger than reported, and the dough never came close to rising to the top. I ended up with small, boule-like loaves, rather than the tall, majestic Panettones I was expecting. Even though the loaves were smaller than I was hoping for, the finished product was nevertheless wonderful. Some other posters noted that their loaves came out rather dry and tasteless. I didn’t have this issue: my Pannetone was moist and flavorful. The fruit was sweet and tangy without overpowering the bread. I really enjoyed this bread and will definitely make it again, although next time I think I’ll fit it all into 2 Panettone moulds. As I suspected it might, this dough quickly became one of my family’s favorites. In fact, we have instituted Homemade Pizza Night, usually on Sunday nights. 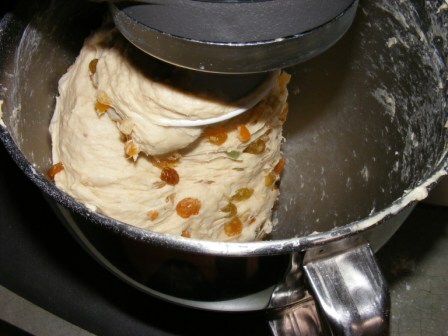 We start with PR’s dough, which I often make ahead and freeze, and add whatever toppings tickle our fancy. 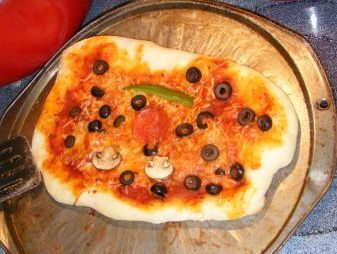 If you’ve never tried making your own pizza, or even if you have your own favorite crust recipe, you should definitely give this one a try. You won’t believe how easy and delicious homemade crust can be! These baguettes were good. Not earth-shattering. Just good. Actually, I didn’t find them to be much different, or any better, than PR’s French Bread baguettes, which is my go-to French Bread recipe. And the one I’ll stick with for now. I love this bread! So much that I made it the November BOM ( bread of the month) for the Facebook Artisan Bread Bakers group. Although I do have a confession to make. PR’s recipe isn’t my favorite. I like it well enough. And if I’d never tried another recipe, I would be perfectly happy with it. But having made Mark Sinclair’s recipe, I don’t know that I’ll ever like another as much. If you tried PR’s recipe and liked it, give Mark’s recipe a try. You won’t believe your taste buds! This bread is as good as it sounds. Mashed potatoes and fresh rosemary in bread. As Ina Garten says, how bad could that be? The potatoes give it a nice consistency and keep the bread quite moist. And the rosemary gives it an intoxicating aroma. Definitely one to put on the make again list. This was another one of those take-it-or-leave-it breads for me. It looked nice and tasted fine; it just didn’t rock my world. I wasn’t crazy about working with durum wheat (too much like semolina, I guess). And despite the relatively high hydration level (85%), mine lacked the big holes shown in PR’s version. I have made this bread more than just about any other kind. 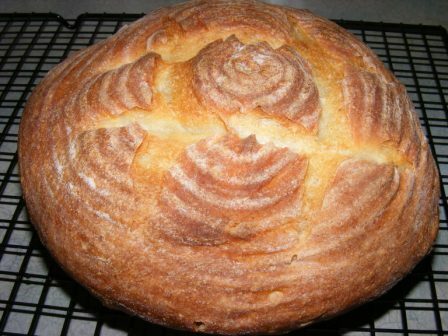 When I first started toying with sourdough and starters (over a year ago), I baked this bread every week for several months. It really helped me appreciate baking with sourdough and the intricacies of this recipe in particular. After baking this bread for months, I started playing around with the recipe, making slight alterations here and there to compare it with the original recipe. 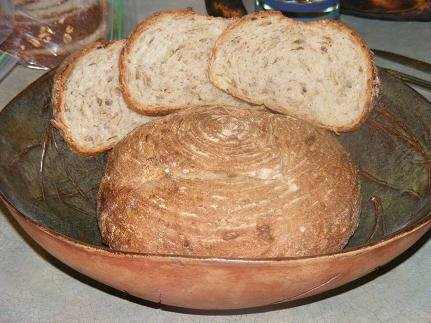 My favorite variation was a struan-type bread, Five-Grain Seeded Sourdough Bread, which I bake fairly regularly. In fact, I’m in the process of baking a few loaves of it right now. I started with Bob’s 10-Grain Cereal this time, and added some red, brown and black rice that I had left over from when I made straun, which, I guess, makes it 13-grain seeded sourdough this go ’round. 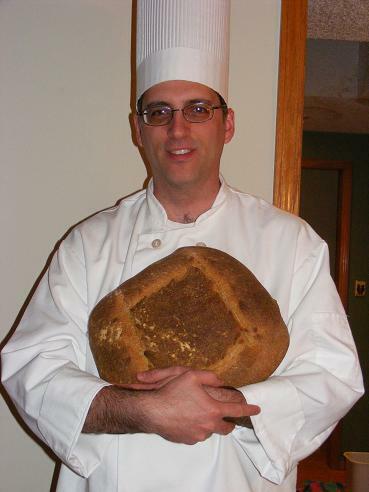 I always enjoy a good rye bread, and I often substitute a bit of rye for the bread flour in bread recipes. This was a delicious deli rye, great for sandwiches or just eating slathered with butter. Again, an enjoyable rye bread; although it didn’t rise as well as I had hoped. My starter was freshly fed and active, but my kitchen was fairly cool. And of course, I had to bake it in the evening, so I tried to rush it a bit. This bread will make a baker out of you. It’s almost impossible to bake a 4+-pound loaf of bread without feeling like you’ve accomplished something incredible. And you have. How many people do you know who know what a miche is, let alone have ever baked one? This is a bread for sharing. A show-stopper for a casual dinner. It is a dense, flavorful sourdough wheat bread that you’ll want to bake (and show off) again and again. This is another rye-based bread that I really like. Pumpernickel bagels are my favorite, especially schmeared with salmon cream cheese. 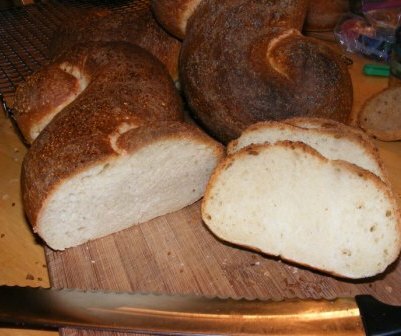 This bread tasted just like a pumpernickel should – rich and hearty with a lingering finish. However, it didn’t rise much. I baked it in my pain de mie pan, and it barely came halfway up the sides of the pan. And it was dense. Really, really dense. Texture and tastewise, it was more like a cocktail pumpernickel than a sandwich bread. Still quite tasty. But not what I was shooting for. So, there you have it. A quick tour of the breads I’ve been baking lately for the BBA Challenge. Again, I don’t make New Year’s resolutions. But I am going to try to keep up on my blogging for the remaining breads in the Challenge. 🙂 Thanks for getting back to me. 🙂 I hope I do this right. I’m getting ready to start the Panettone. How many cups of sponge did you use. I have sourdough already feed and ready to go in a jar. Am I reading it right that it is 4 cups of the sponge? WHOOPS and can you use something besides alcohol??????? Susie, I don’t have my book in front of me, so I can’t answer the sponge question, although I do recall that it used a lot. You can omit the alcohol, or replace it with juice of some kind. If you want the flavor without the booze, leave the alcohol out (adjust hydration, if necessary) and add extract for the flavoring. Now that I hear the Sinclair link doesn’t work I’m so glad I printed out the recipe a couple days ago. I can’t believe that his bread is supposed to be even better than the BBA one, but I’ll give it a try. I absolutely LOVED the BBA version, though. The Mark Sinclair doesn’t work. It was a good link when I wrote the post, but it doesn’t seem to be working anymore. I removed it from the post. WOW. I have to catch up with BBA, and you have lit a FIRE under me! I made the Portuguese Sweet Bread and thought it was absolutely wonderful! Your loaves look awesome, too! The moulds from KAF are also 6 inches, but the instructions said each would hold 1 pound of dough. If I had used 2 moulds instead of 4, I think it would have been perfect. Way to go Phyl, an impressive bread blitz. I have the huge pain poilane in the oven right now. Have to figure out the Pumpernickel flours. I am sad to see the end of the book. Nice update on all the breads! I might have to bundle up on the posts too since I’m stuck on Portuguese Sweet Bread with posting, but making the Basic Sourdough tomorrow mornning. Glad to be of service. What recipe are you on? OK, now you’ve motivated me to get caught up. 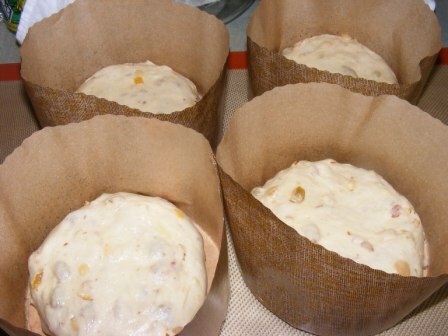 I am stuck at Portugeese sweet bread but the thought of using orange and lemon extracts does not thrill me. They smell like furniture polish. I may have to give Mark Sinclair’s recipe a try. That is a mighty impressive miche! Thanks, Cindy. Give the Mark Sinclair recipe a try; you’ll be amazed at how good it is. Of course, you could always make PR’s recipe and just leave out the extracts. Thanks, Di. Happy New Year! Yes, the stolen Stollen should make for an entertaining post. I have PR’s new book, too. Other than the recipes I helped test, I haven’t baked anything from it yet. Too busy with BBA. I can’t believe I’m less than 10 recipes away from finishing! Great catch up post! Thanks for the commentary on the breads. You’re a little bit ahead of me. I’m making the basic sourdough this weekend. Happy New Year! Time to get baking! Happy New Year to you too, Cathy! 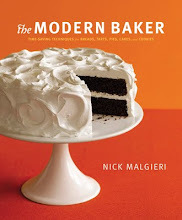 I finally feel like I’m up to speed, so I can bake and blog at a more leisurely pace. job(s) and holidays that I feel behind…but I will hopefully get caught up soon! I will be sure to check back to this post! They all look great! Awesome job! Happy Baking! Thank, Jenn. I am actually 2 beyond this post – I baked the sunflower seed rye and the stollen already, but I’m going to do individual posts for them. The Stollen post should be fun, since the dog licked all the powdered sugar off it!